Theatre of NOTE, 1517 N. Cahuenga Blvd. 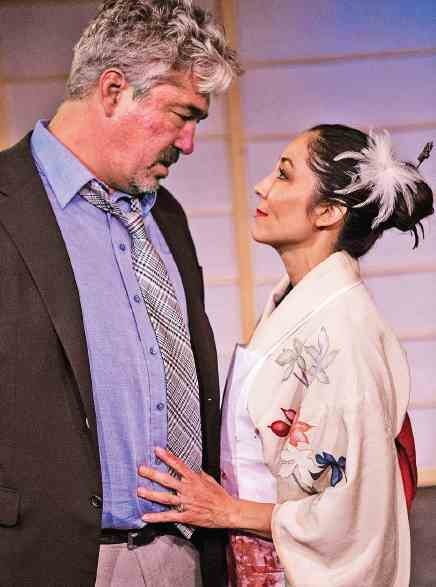 in Hollywood, is presenting the world premiere of “Supper,” written by Phinneas Kiyomura and directed by Alina Phelan, through May 20. The theater company gives the following description of the play: “The Koch Brothers are infamous, super-rich, right-wing reactionaries from Wichita, Kansas. Trained in business and politics at their father’s knee, and bestowed with his oil wealth and his company, Koch Industries, the brothers are litigious multibillionaires who fund ultra-right-wing causes and candidates in an attempt to shape America in their image. “This play is definitely NOT about the Koch Brothers. The cast features Darrett Sanders, Joel Scher, Alex Elliott-Funk, Will McFadden, and Keiko Elizabeth. Kiyomura is a playwright, screenwriter, actor, former skate punk, and dad living in Los Angeles. His critically acclaimed plays (“Lydia in Bed,” “Figure 8,” “Woods,” “Phrazzled”) have been produced at Theatre of NOTE, Padua Playwrights and Sacred Fools, among others. He is a FIND Screenwriters Lab Fellow (for his feature “Beds and Graves”), an ABC Disney Writers Lab Fellow, winner of the Klasky Csupo writing competition, and wrote for the TV show “Twisted” (Freeform). He has developed projects for New Regency, Mark Gordon Co., and ABC Studios, and is currently in development on several projects, including: “Internment,” a passion project inspired by his father’s experiences in the Japanese American incarceration camps, and “Ring of Fire,” an exploration of faith and madness. He appears as an actor in upcoming features “Kill Me, Deadly” and “After We Leave.” His graphic novel “442” is now available on the Stēla app for iPhone and Android. Performances of “Supper” and “Red Helen,” written by Jennifer Barclay and directed by Bill Voorhees, will alternate evenings and will both close with back-to-back shows on Saturday, May 20. Friday, April 28, at 8 p.m.
Thursday, May 4, at 8 p.m.
Saturday, May 6, at 8 p.m.
Friday, May 12, at 8 p.m.
Sunday, May 14, at 7 p.m.
Thursday, May 18, at 8 p.m.
Friday, May 19, at 8 p.m.
Saturday, May 20, at 9 p.m. Ticket prices are $25 general, $20 for students and seniors. Come back to see the second show in the rep and the ticket price is $15. For tickets and details, call (323) 856-8611 or visit www.theatreofnote.com. Theatre of NOTE is a democratic ensemble of L.A. theater artists dedicated to creating high-caliber, original work that challenges its audience and its members.